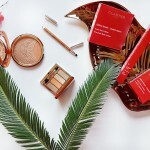 Ladies, today I would like to share how I have been getting A Fresh Faced Look with Clarins! 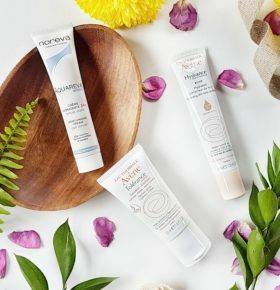 I have a few products from the New Clarins Healthy Spring Collection, as well as two other products I recently bought. Now, I know that we have just entered Autumn in South Africa, but I, for one am so glad that this collection is launching now, as opposed to us having to wait until Spring in September. 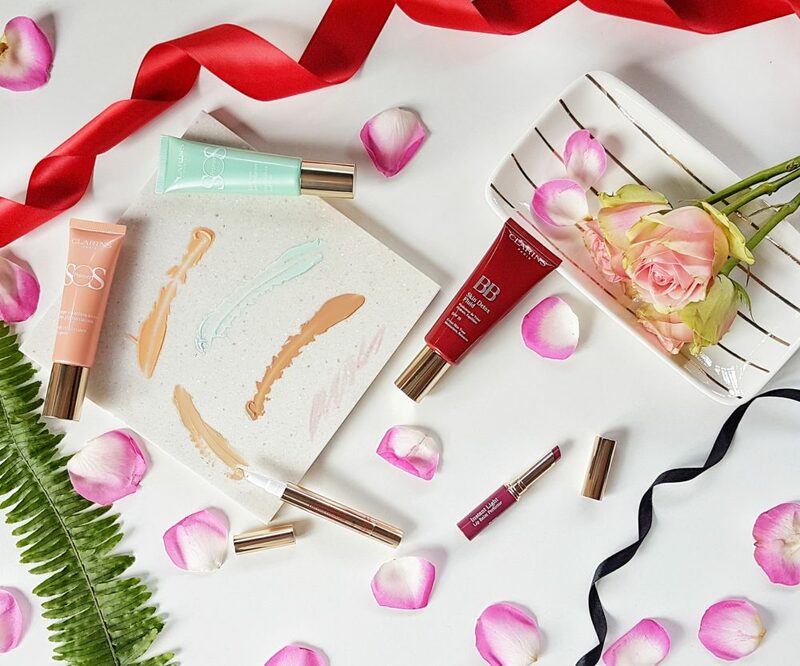 There are so many beauty launches that take more than six months to arrive on our shores, but luckily with Clarins we are only a few weeks behind. Let’s gets COLOURFUL AND FRESH, shall we? There are a few new products in this launch, but the most note-worthy for me are by far the SOS Primers. But, there are also two new shade additions to the famous Instant Light Natural Lip Balm Perfectors, which are glossy tinted lip balms that smells amazing! The Instant Light Brush-On Perfector (R365) is perfect for correcting dark areas under the eyes. I would describe it as an illuminating concealer, as it brightens dark areas, but also provides some coverage while still looking light and fresh. It makes my face look more alive, and can also be applied as a highlighter. This reminds me of a more affordable version of the YSL Touche Éclat. I am loving the BB Skin Detox Fluid SPF 25 (R510). Although this shade is a bit dark for me, I can make it work with some lightening drops. I just love the feel of this on my skin, it is silky and hydrating, and makes my skin look like a better version of itself. It has a radiant, dewy finish and evens out the complexion while being light and fresh. The *SOS Primer in Coral (R395) is aimed at correcting dark spots, thanks to the orange pigment that evens out any skin tone irregularities. It also does a great job at counteracting dark under-eye circles. It applies smoothly, melts into the skin, and sits well under makeup. It leaves my skin feeling soft and silky, and looking fresh and even. The *SOS Primer in Green (R395) is a bit brighter than expected, but when I had a red allergy nose recently, it completely re-balanced my skin tone thanks to the green pigments. Although I don’t typically suffer from redness, this will come in handy when I have an allergy flare-up again. It doesn’t leave your skin looking green at all, but melts into the skin leaving it looking balanced and neutral. Lastly I have the yummy *Instant Light Natural Lip Balm Perfector in Plum (R310), which is one of the new shades, there is also a Hot Pink version. 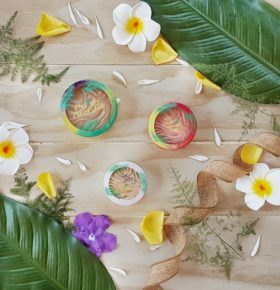 Hydrating, plumping, nourishing, glossy, pigmented are all of the ways to describe this, and let’s not forget that yummy scent, it truly smells good enough to eat! I will be using this all year round, in the warmer weather it gives a light glossy tint to the lips, which looks fresh and minimal, and in the cold, dry months when lips need a bit of TLC, it nourishes and protects, while still providing a wash of colour. 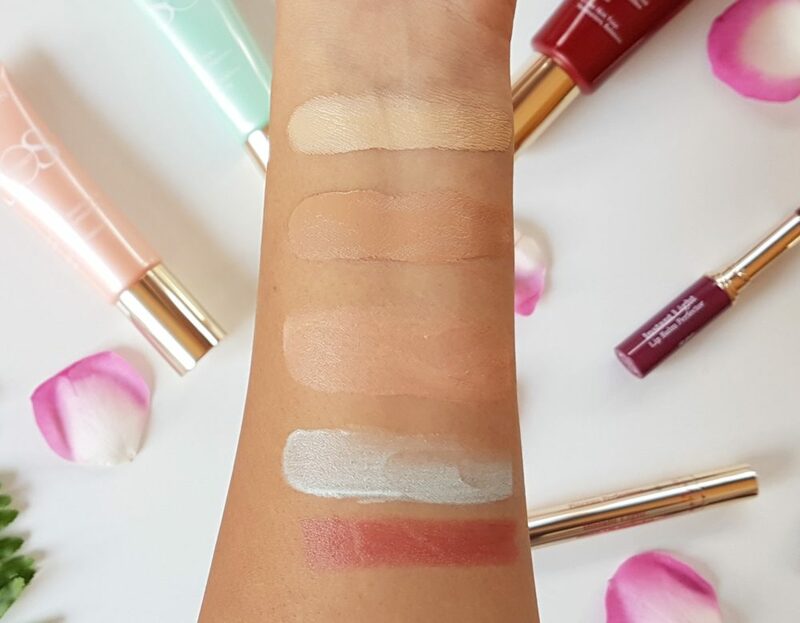 There are six SOS Primers, suitable for all skin tones, and each delivers specific colour correction to target different concerns, for a fresh, balanced skintone! You can even multi-prime, and use different primers on different areas of your face, depending on your needs! The primers are so fluid, breathable and lightweight, they melt into the skin so effortlessly and feel like you aren’t wearing anything. They are also hydrating, thanks to Organic Sea Lily Extract, and they contain Clarins Anti-Pollution Complex to protect the skin from the environment. 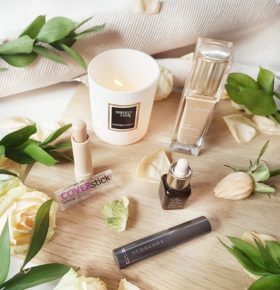 They can be used over moisturiser, without foundation to even the skin tone and give a subtle radiance, or they can be used under foundation as a primer, or even mixed in with your foundation. 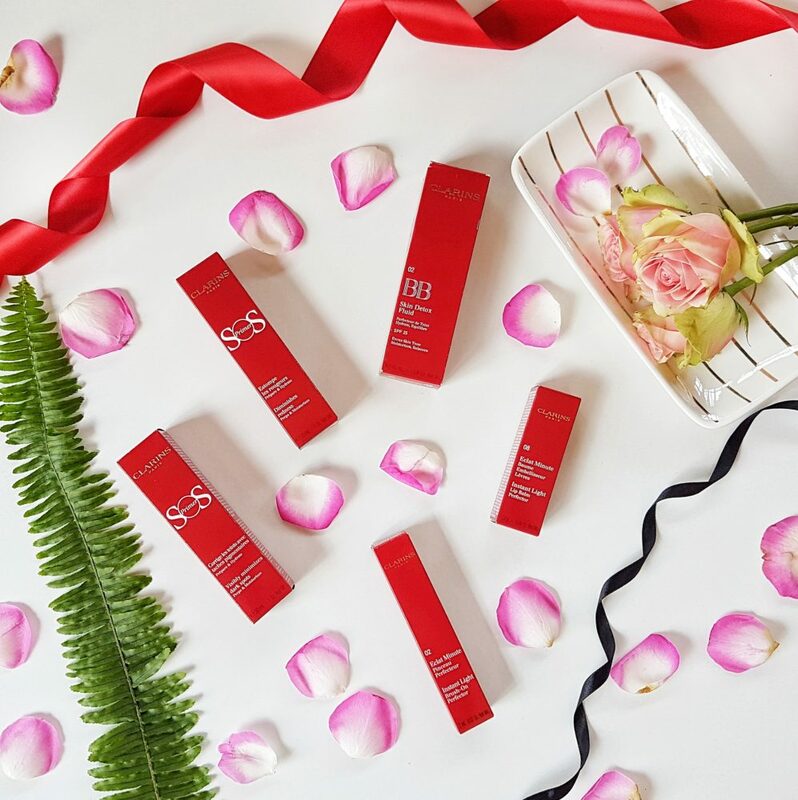 You can also mix the SOS Primers with a silicone type smoothing primer, such as the Instant Light Perfecting Touch for smooth, balanced skin. Goodbye dull, uneven complexions. Hello white, pink, peach, coral, green and lavender. Colour Correcting works on the principles of the basic colour wheel, where two opposite shades will counteract each other. So, to find the SOS Primer for you, identify your skin care concern, and then apply the primer for even and radiant skin. Lack of radiance? Pick White, this base instantly brightens all skin tones and captures the light for added radiance. Signs of fatigue? 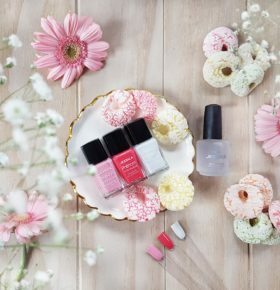 Choose Pink, the best for revitalising the complexion and giving skin that fresh alive look! Imperfections? Peach please, your skin will look flawless, as this base cancels out violet-coloured imperfections such as dark circles, acne marks, etc. Dark spots? Coral me, as this corrector balances out any blue hues, for an even skintone. This one works for my under-eye circles too. Redness? Go Green, this primer balances the skintone, so all redness is gone, nobody will ever know! Sallow skin? Lavender is for you, which will counteract the yellowness in your skintone caused by pollution. 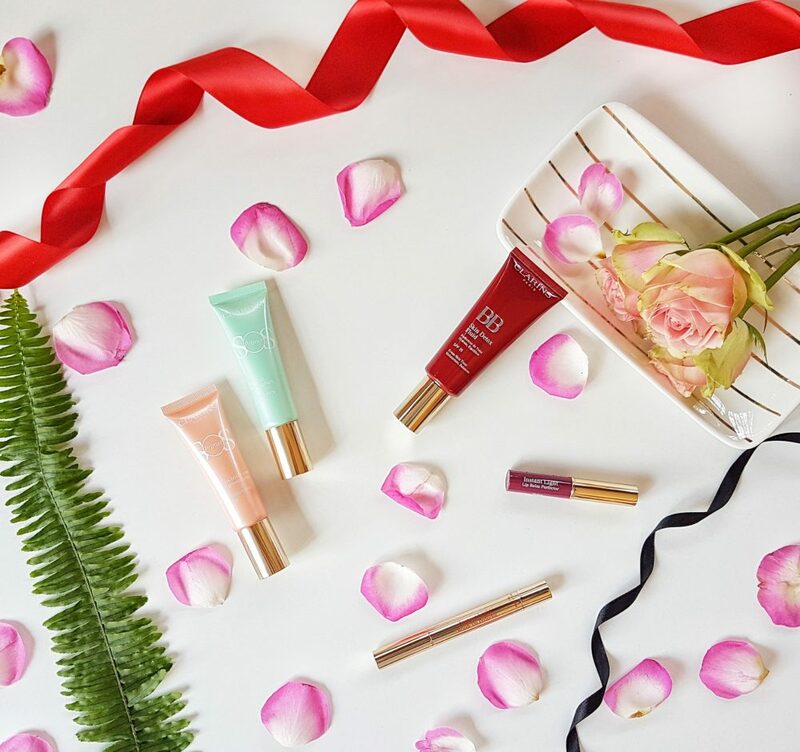 The Healthy Spring Collection (which also includes a pretty eyeshadow palette) will be available in store and online on the revamped Clarins website from today! It is great, it has such a lovely finish too! I need to try out some Clarins products, I don’t own anything from them and I hear such good things about the brand! 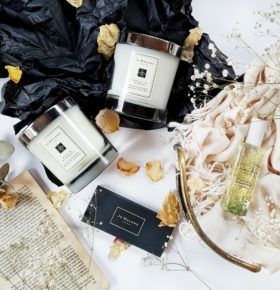 They have some great skincare and makeup too! Their annual bronzer is a must-have! 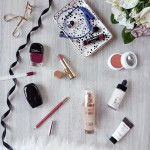 I am on the hunt for a BB cream – have to check it out! The white one is on my wishlist too! 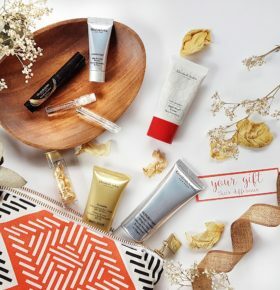 I remember getting some Clarins products years ago, and they were amazing! 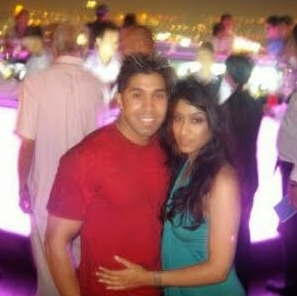 I need to get some more of their skin care again it’s just fabulous! 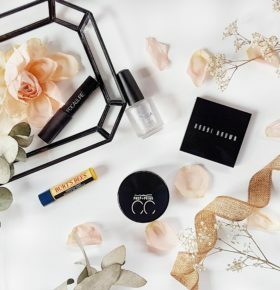 They really have some great skincare and makeup products! I love Clarins skincare, I need to get some new ones actually. The Hydra Essential range is my absolute favourite! I love Clarin’s and these sound incredible! The packaging is SO cute too! I am going to have to try out more by Clarins, I haven’t tried anything new in quite a while! 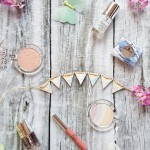 I love the peachy shades! these all sound so wonderful! I love clarins!! My skin is very dull and uneven at the moment so I am defo feeling like I need to invest in some clarins goodies! These SOS Primers will definitely sort out dull looking skin! These look great – one for every problem we have!! Been dying to try some of these new SOS primers! And those Instant Light balms are gorgeous – loving this plum shade! The primer is gorgeous, and feels so amazing on the skin. The Balms are amazing! The coral primer looks insane!!!! I need to try this one. I’m having trouble with keeping anything on my skin at the moment. It is stunning, and really brightens and corrects my face! I want to try a few of the others! I love the texture! It is so light and fuses with the skin. A really great primer! I was taking some pictures yesterday and I totally forgot that I wanted to see if I can also make random pieces of ribbon look this good! lol. Needless to say I stuck to my flowers! These primers are so nice and the lipbalm does smell amazing! Hahaha, try it though! 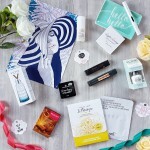 I love PR packages that come with ribbon, cos I reuse them in my pictures! Clarins has some awesome products! 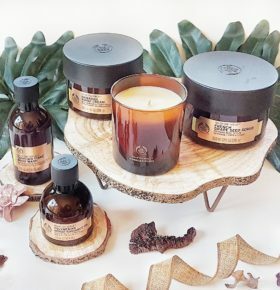 The Hydra Essentiel range is one of my faves!